Warehouse at Pulau Indah Handed Over to Behn Meyer AgriCare (M) Sdn. Bhd. 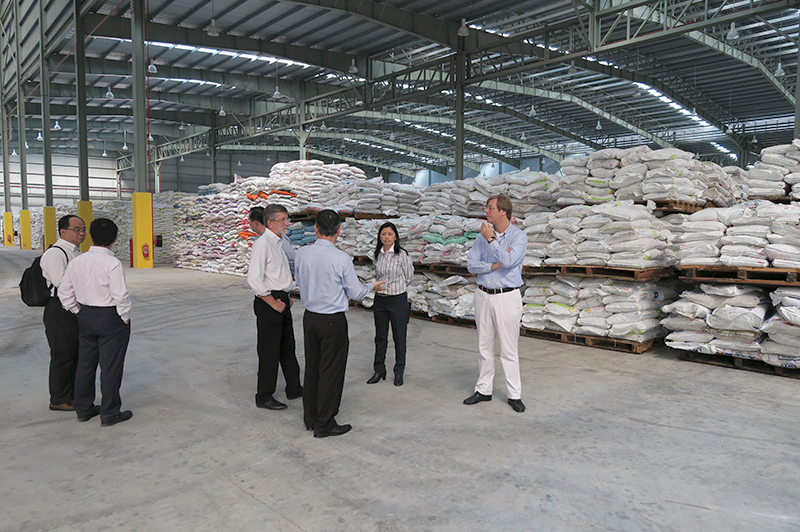 The newly completed warehouse at Pulau Indah was officially handed over to its owner, Behn Meyer AgriCare (M) Sdn. Bhd. on July 6th, 2015. The handover ceremony began in the morning and was attended by the directors of Behn Meyer AgriCare, Behn Meyer Chemicals and Performance Additives. 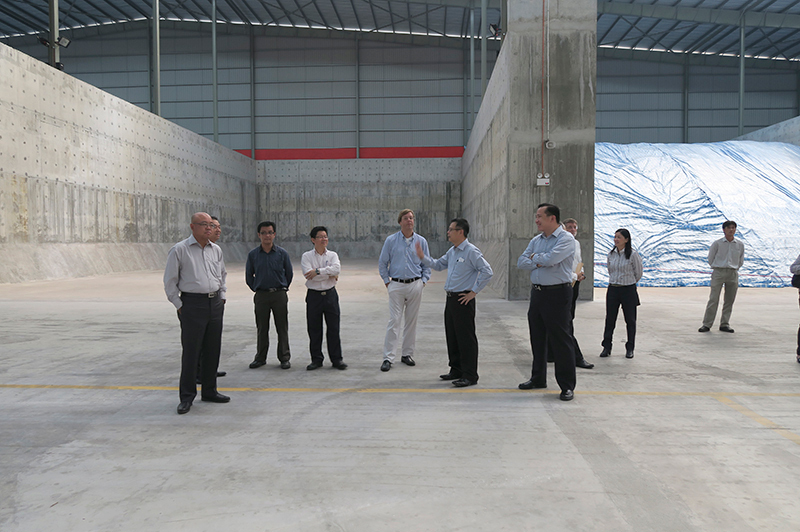 The senior managers and sales personnel from AgriCare were all present to witness the handover ceremony with Mr. Chong Yiew On, the managing director of Behn Meyer AgriCare, also giving them a guided tour of the new facility. 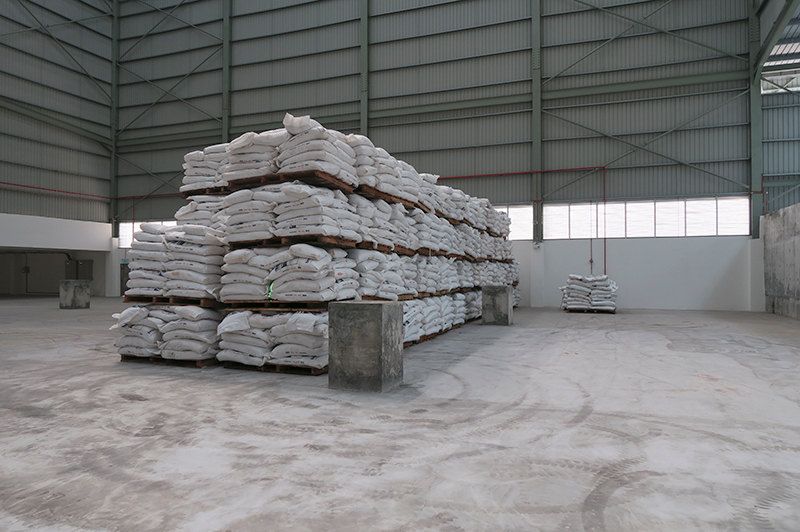 The modern warehouse facility, which is equipped with an auto blending and semi bagging system, has 227,000 square feet of floor space and represents a substantial increase in warehousing and distribution capability. Furthermore, the building and groundwork for a future compaction plant is already in place with the construction work that was commenced in May 2014 being completed at the end of June 2015. 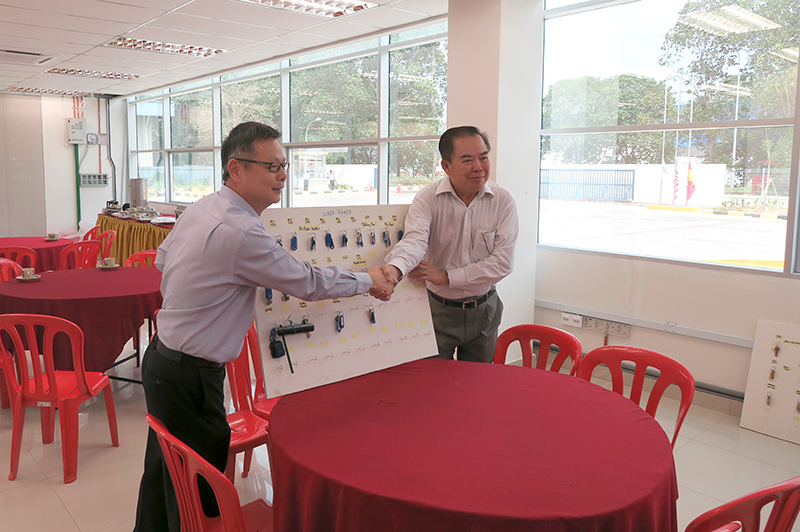 The keys to the warehouse were handed over to Mr. Chong Yiew On by Mr. Looi Wah, (Tai Thung Construction, Managing Director) and the way was cleared for the company to move into its new warehouse. 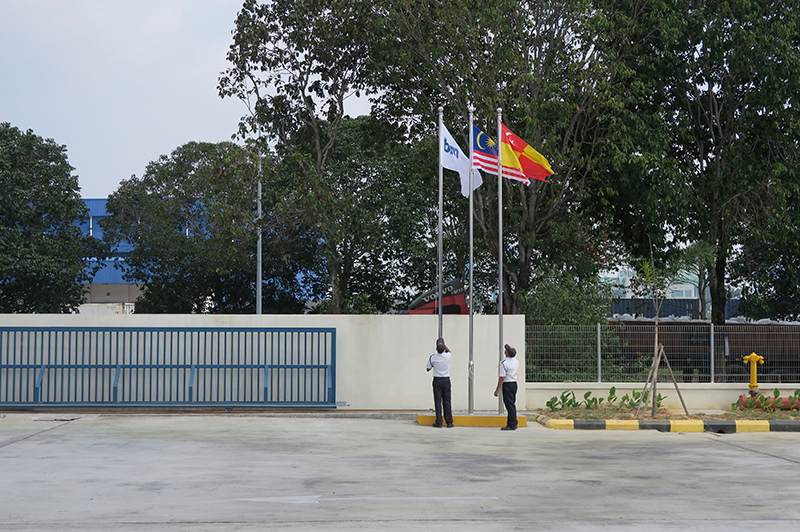 The move, which represents another significant step forward in the company’s growth strategy, was commemorated at the ceremony by the raising of the national and state flags and finally the Behn Meyer Group flag. Mr. Chong’s speech at the ceremony included thanks to the contractor, Tai Thung Construction, the consultant, Megatek Consulting Engineers and all the colleagues who have contributed directly and indirectly to the successful and timely completion of the project. 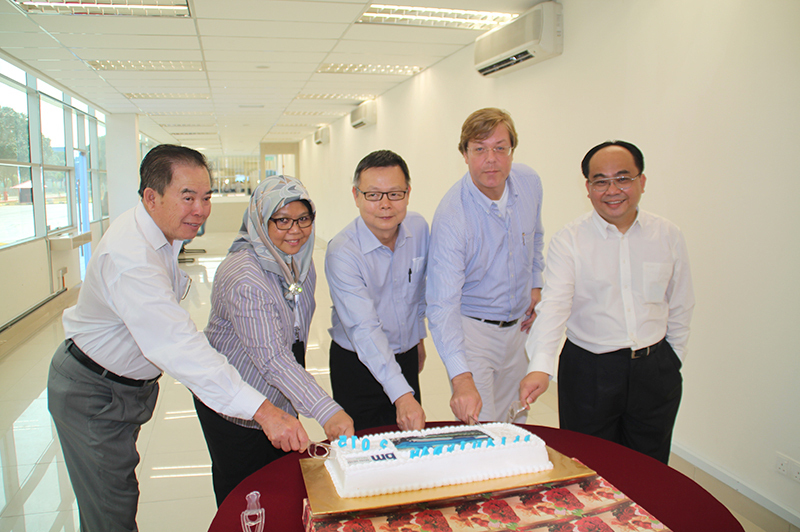 The ceremony was concluded by a cake being cut by our own Mr. Chong Yiew On, Puan Rohaya and Mr. Oliver with Mr. Looi representing the contractors and Mr. Tan the consultants. And finally light refreshments were then served to round off a memorable occasion.